There are just two players who might be bigger legends at Khimki Moscow Region than sharpshooter Egor Vialtsev. The 33-year-old is in his 16th season as a professional basketball player, and half of those – eight – he has played with Khimki. The players who spent more time with Khimki are another sharpshooter, Vitaly Fridzon, who logged nine years there from 2004 to 2013, and Vialtsev's teammate Sergey Monia, who is playing his ninth season in the same uniform. Since he arrived in 2011, Vialtsev has helped Khimki win two 7DAYS EuroCup titles and to qualify for the Turkish Airlines EuroLeague a total of five times. Khimki is the fifth club of Vialtsev's career. He started as a pro in the same city, Moscow, back in 2003, with CSKA Moscow. In November of that year, just one month after turning 18 years old, he had as memorable EuroLeague debut as they get, winning against another giant of European basketball. "On the road against Panathinaikos. Big team, with great coaches. Arena full of fans, good atmosphere," Vialtsev recalled. "For me, a young player, a rookie, it was important to feel that atmosphere at that time. I was nervous in that positive way." That was the start of his EuroLeague career, a season that finished with a trip to the 2004 Final Four in Tel Aviv. That event felt like the center of the basketball universe to Vialtsev. "I want to feel and experience the Final Four again." "I just traveled with the team, but did not play there," he says. "It was a huge event with a crazy atmosphere and so many fans. Everyone was wearing yellow in Nokia Arena. It was amazing. For four days, you see in one place all the people you never have a chance to see in one place, from fans to players and great former players, to owners and GMs who all come to see those most important games of the season." "I want to feel and experience the Final Four again, but like an important part of the team, not like a young rookie who is looking at it kind of from the side and collecting memories. I want memories of playing there." For Vialtsev, such an opportunity would be like completing a full circle, and there could be no better feeling than to accomplish it with Khimki, the club where he has spent the past seven seasons. Last year, they came close, qualifying for the EuroLeague Playoffs, but getting ousted from them by city rival CSKA in four games. "I think last season was a big step for the club. For me, too, but especially for the team. We were so close to the Final Four. 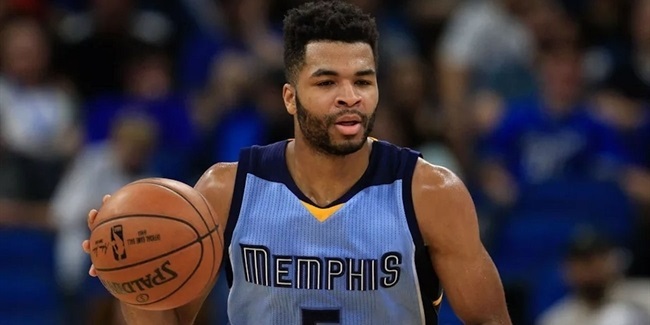 One win more [in the regular season or the playoffs], and we could have had a different outcome," he said. "We played CSKA, a big and powerful team that is difficult to play against. But we played them like lions, like a team, and we showed everybody we were not there just to be there, but to compete." Those playoffs games were special but did not have extra-special meaning for the long-time Khimki veteran who had started his career with CSKA. He went through CSKA's junior categories at the start of this century, then was loaned to Pulkovo from St. Petersburg and CSKA's B-team as a 16- and 17-year-old, getting needed minutes in the Russian first division before getting the big call from Moscow in 2003. "I got a telephone call from CSKA to join Dusan Ivkovic and the first team," he recalls. "They brought me over in the summer and gave me a contract." Vialtsev made his Euroleague debut that season, got his first points in a road game at Krka Novo Mesto, but otherwise did not play much. With so many veteran stars on a team gunning for EuroLeague trophy, it was hard for a teenager to get playing minutes, so he asked to try to get more minutes elsewhere. First with Samara, then Ural Perm, Vialtsev grabbed his opportunity. "Coach Valdemaras Chomicius, a former big-time Lithuanian player, he gave me a lot of minutes in Perm," Vialtsev says. "I still today appreciate his trust for giving me that time, looking at me as a main player." His time in Perm opened all kinds of doors for Vialtsev. He made his national team debut at 21 years old under coach David Blatt, then came back greater Moscow for four years with Triumph Lyubertsy before joining an ambitious Khimki in 2011. Now, it is hard to imagine Khimki without Vialtsev in the lineup. 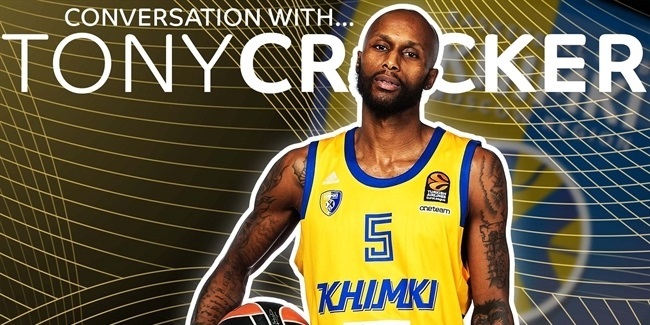 "Khimki has become my home. It is where my family lives. The club has given me everything, and I feel comfortable," he says. "In my career, I changed four clubs. I look at players who change clubs every year. That is not for me. I tried to be on one team, where I have laid a foundation. To have people who I trust, who trust me, and that is what I have here." To say the least, Vialtsev grew with the club, and any team success he takes as a personal success as well. He is more to the club than just a man in the rotation. "I look at players who change clubs every year. That is not for me." "Every coach tries to make a team that will stay together, not only for one or two years, but for a long period of time, to have four or five players who will be here, to introduce everybody new to the club's tradition, and to help the coaches and management." That is what Vialtsev is to this Khimki. "I am not a person who looks back. Probably there are always things you might want to change, but I look at the present. I am really happy I have stayed here with this club." 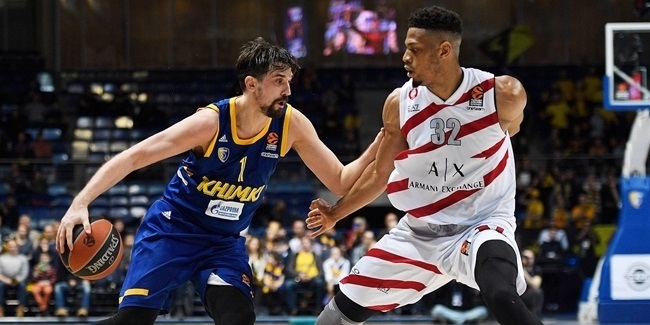 Vialtsev was an integral part of Khimki's success, including the EuroCup titles in 2012 and 2015, and its efforts now to be a contender for the most coveted prize in European basketball. "We made the first step by making playoffs last season," he says, "Then we made another step by staying in the EuroLeague for back-to-back seasons. This year, we want to show we can beat everybody." This season so far has been unlucky for Khimki, which has a 0-3 record. But each of the past two years some EuroLeague team that started the season 0-3 or 0-4 still made noise in the playoffs, so for Vialtsev, Khimki's goals remain high and unchanged. "Last year we showed we are not here just to participate, and we did not make playoffs by accident," Vialtsev concludes. "This year, we need to look to go a step higher. It is a big challenge but I think we are ready for this, and we have to show that."